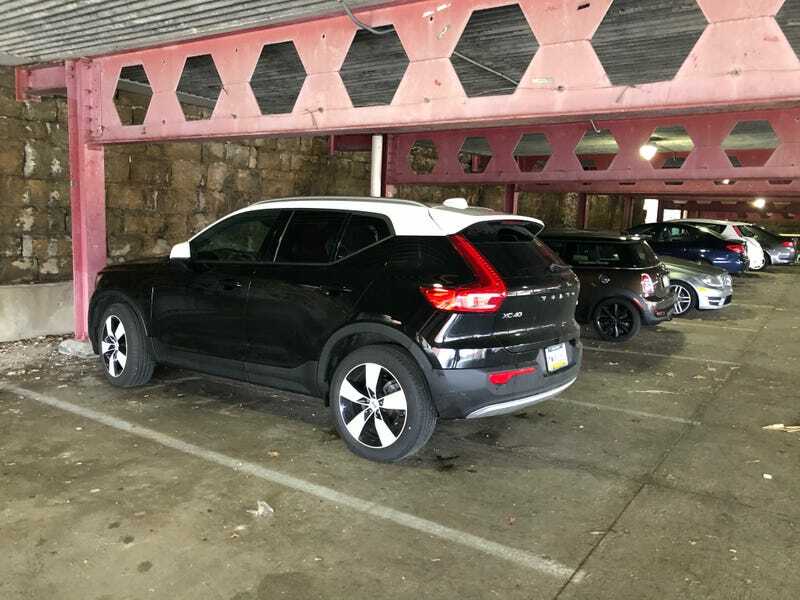 It’s a Volvo XC40, black with the white roof option and white wheel inserts. I was surprised how much I dug it that I took out my phone to show all you fine people. It gives me that Mini Cooper vibe which I dig. Although I’d probably spec mine with an actual color, this is a combo is way better than just standalone white, black or gray.